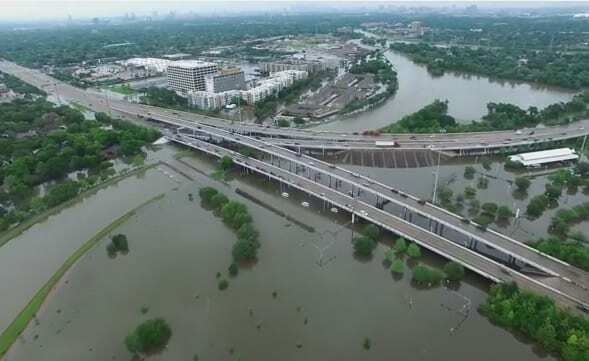 For many residents of Greater Houston, especially those still caught in the throes of disaster, the April 18th are likely still a very sensitive subject. Across wide swaths of the region, residents are enduring the terrible headaches of ripping up flooring, towing cars, trashing molded furniture, rewiring electrical systems and waiting for insurance companies to call. And those are the most fortunate. For the poorest citizens, the historic floods from this week have left many homeless, hungry and devastated. If you’re unlucky, you may have dealt with major flooding perhaps once or twice in your life. But Houstonians, even transplants who have only spent a few years in southeast Texas, likely have experienced flooding multiple times —sometimes in the same year. One could make a strong argument that Houston is the nation’s flash flood capital. According to NOAA’s National Centers for Environmental Information, there were 96 days with at least one report of flooding or flash flooding in Harris County from 1996 through 2015. This equates to an average of 4-5 days of flooding each year over that time period. Of course, not all of these flood events are as severe as April 2016, Memorial Day 2015, or Allison in 2001. The fact that flooding happens with such regularity most years in an area just slightly larger than the state of Rhode Island is quite impressive. Including the April 2016 flood, there have been at least 26 events that flooded homes in the Houston metro area since the mid 1970s, according to Houston-based Weather Research Center (WRC) and National Weather Service records. WRC documented area floods, some related to tropical cyclones, back to 1837, the year after the city was founded. These events have happened every time of the year, even in late fall and winter. Apart from the prodigious rainfall from tropical cyclones and their remnants, thunderstorms and thunderstorm clusters tend to slow and stall near the Gulf Coast, especially from late spring through early fall. In case anyone was in doubt, the data is clear. Floods will happen across Houston region and Southeast Texas. These “historic events” are not a matter of if, but when. Close roads, save lives. As much of a tragedy as flooded homes and businesses create, they are not the predominant cause of death in these flood events. 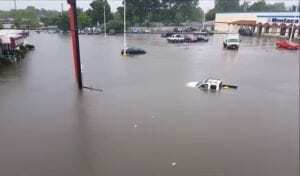 The far more dangerous situations occur when drivers get caught on flooded roads. But as Harris County Judge Ed Emmett knows, these deaths are preventable. Officials know which roads are most likely to flood in a significant rain event, because they are virtually the same ones that have flooded every time. Closing these roads would save lives. It’s also important to increase awareness for residents of just how Houston’s flood prevention system works. The central to this system in large flood event?? ROADS. Once the bayous and creeks fill up, the next place which water collects in Houston are the roads themselves. Ever wondered why sections of all major Houston freeways are trenches? It’s because they are meant to fill with water in a flood event. Stop building “out” and start building smart. Some of these changes are already occurring in parts of Houston as a result of reaching critical density, but protecting this region from flooding means a full recognition that we cannot continue to build new developments in areas designated as part of the primary flood plain. Of course, such radical change isn’t really possible without more cohesive regulation (yes I said it… ZONING). But for those that are already in a flood plain, it’s time to seek some smart building strategies… flood gates, raising home and business levels, and massive flood protection work like Project Brays must become one of the region’s top priorities. It would take a massive effort and lots of coordination between all levels of the public and private sector, but it can be done. Case in point? The Texas Medical Center. Building on the example of the TMC’s innovative flood alert and prevention system, we know that mitigating flood damage in the area is possible. The only question that remains… Can we find the will to do work?